The business venture, Columbus Electronics Private Limited came into existence in the year 1996 at Chandigarh in India. We are one of the most promising manufacturers and suppliers of a wide assortment of Electronic Equipment such as Power Supplies, Controllers, Recorders, Transmitters and Thermometers. Our products are demanded and appreciated by the clients belonging from diverse industrial backgrounds for their premium quality standards and salient features like efficient operations, optimum performance, accurate results, high reliability and long service life. We design and develop these products as per the prescribed industrial guidelines. 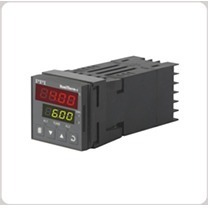 The wide range of products offered by us encompasses Humidity Sensor Transmitters, Portable IR Non - Contact Thermometers, Potentiometer Circular Chart Recorders, Potentiometric Strip Chart Recorders, Communication Controllers, Micro Processor Based Pid Controllers and Switch Mode Power Supplies.